Winning the LEAP and Berblinger Prize Writing for Plane & Pilot magazine, Jim Lawrence opined, "As an industry, electric flight is still in toddler mode. Batteries provide, pound for pound, a mere fraction of the energy density of gasoline. Therein, as the Bard said, lies the rub: The culprit is weight, simply because one pound of avgas has roughly 40 times the energy delivery of a pound of battery. For electric aircraft (and other vehicles) to become common, battery efficiency will need to double, then double again, and double again. "To spur recognition and development, several major awards and competitions now offer substantial money prizes. On the last day of this year's Aero e-flight-expo in Germany, the Berblinger Flight Competition divided |100,000 ($142,604) among three proven aircraft, each with a unique application of electric power: the elegant, single-seat Lange Antares 20E self-launcher sailplane (the world's first certified electric); Eric Raymond's record-setting, solar-powered Sunseeker; and Manfred Ruhmer's Elektro-Swift, an ultralight flying wing with streamlined pod and folding pusher prop. "The Berblinger competition is an ecoflight competition that involves flying around a specified course, as well as an evaluation by judges. "The 20-meter-span Antares was cited as 'the only [electric] aircraft that fulfills the strict EASA (European Aviation Safety Agency) certification requirements... life-expectancy of 20 years or 3,000 charge cycles.' More than 70 production Antares have been delivered. "Of the three winners, only the slender, graceful Sunseeker is not for sale, yet. It flies solely on electricity generated by wing-borne super lightweight solar cells. Raymond is currently working in Slovenia on the 23-meter span (75 feet) Sunseeker Duo 2-seater, which will eventually be marketed. 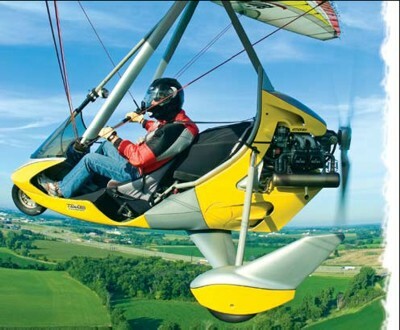 "The Elektro Swift, produced by Italian hang glider company Icaro, takes another tack. 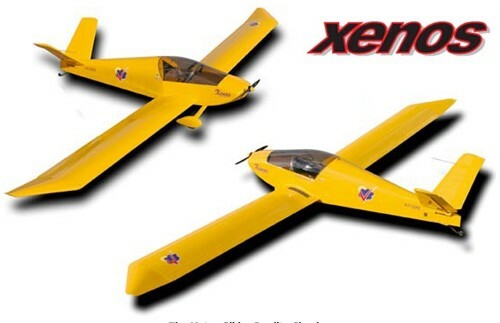 It's a highly optimized, single-pilot, lightweight soaring machine based on an excellent-performing rigid-wing hang glider. "Also presented at Aero were Eric Lindbergh's LEAP (Lindbergh Electric Aircraft Prize) awards. Three categories (and $60,000 in prize money) went to the Solar Impulse for Outstanding Achievement; Pipistrel Taurus Electro G2 for Best Electric Aircraft (it's the first production 2- seater electric; and Best Propulsion System, to LZ for its FES (Front End Sustainer) folding prop/motor retrofit package for sailplanes." - COURTESY OF JIM LAWRENCE, LIGHT-SPORT-HANGAR-FLYIN.BLOGSPOT.COM | PLANE & PILOT'S WEBSITE: WWW.PLANEANDPILOTMAG.COM/AIRCRAFT/LSAS. Winning the LEAP and Berblinger Prize Writing for Plane & Pilot magazine, Jim Lawrence opined, “As an industry, electric flight is still in toddler mode. Batteries provide, pound for pound, a mere fraction of the energy density of gasoline. Therein, as the Bard said, lies the rub: The culprit is weight, simply because one pound of avgas has roughly 40 times the energy delivery of a pound of battery. For electric aircraft (and other vehicles) to become common, battery efficiency will need to double, then double again, and double again. “To spur recognition and development, several major awards and competitions now offer substantial money prizes. On the last day of this year’s Aero e-flight-expo in Germany, the Berblinger Flight Competition divided |100,000 ($142,604) among three proven aircraft, each with a unique application of electric power: the elegant, single-seat Lange Antares 20E self-launcher sailplane (the world’s first certified electric); Eric Raymond’s record-setting, solar-powered Sunseeker; and Manfred Ruhmer’s Elektro-Swift, an ultralight flying wing with streamlined pod and folding pusher prop. Composite Fuselage as "Batteries?" A June 6, 2011, article in the New York Times reported that researchers at Imperial College London, the Swedish Institute of Composites, and Volvo are looking to build auto bodies with carbon composites that can serve as capacitors (devices that hold an electrical charge) that could store more electrical energy than batteries. The dual-function materials could also make electric vehicles and hybrid vehicles lighter. To enable the composite materials to store electricity, the resin that binds the carbon fibers is laced with lithium ions; the fibers serve as conductive electrodes for this type of charge-holding capacitor. At present, the research teams have a distance to go to gain such efficiencies. The work continues and funding appears secure. If future composite structures could store energy as efficiently as lithium-ion batteries, an electric vehicle would require only the roof, hood, and trunk lid to be made of such materials to achieve an 80-mile range, researchers said. If such developments can be applied to airplane fuselage composites, well... we'll have a new ballgame to play. This stuff may be in the not-so-far-off future, and the benefits could be enormous. Composite Fuselage as “Batteries?” A June 6, 2011, article in the New York Times reported that researchers at Imperial College London, the Swedish Institute of Composites, and Volvo are looking to build auto bodies with carbon composites that can serve as capacitors (devices that hold an electrical charge) that could store more electrical energy than batteries. The dual-function materials could also make electric vehicles and hybrid vehicles lighter. To enable the composite materials to store electricity, the resin that binds the carbon fibers is laced with lithium ions; the fibers serve as conductive electrodes for this type of charge-holding capacitor. At present, the research teams have a distance to go to gain such efficiencies. The work continues and funding appears secure. If future composite structures could store energy as efficiently as lithium-ion batteries, an electric vehicle would require only the roof, hood, and trunk lid to be made of such materials to achieve an 80-mile range, researchers said. Energy Density Primer Perhaps it is helpful to understand the significant technical challenge electric flight still faces by comparing the energy densities of gasoline and batteries. Jim Lawrence (also see "Winning the Berblinger Prize and LEAP" sidebar) wrote, "Lead-acid batteries like those in boats and cars have been around for 150 years. They're cheap and relatively environmentally friendly to fabricate and recycle, compared to lithium-based (Li-Ion-lithium-ion, and LiPo - lithium-polymer) batteries. Lead-acids store around 6% the energy density of gasoline. Running the numbers tells us it takes 167 pounds of batteries to hold the same energy as a single pound of gas. "Lithium batteries as typically used in cameras, cell phones and radio-control models store around four times as much energy as a lead-acid battery, but cost several times more per watt-hour. That still means an airplane needs to carry more than 40 pounds of batteries for the equivalent energy of a single pound of gas. That's less than one quart! Looked at another way, that 25 gallons you fill up a typical LSA's wings with would require 6,000 pounds of lithium- technology batteries, and more than 10 tons of leadacids. "No wonder research into improving battery energy density is feverish around the world; even a doubling of storage capacity would deliver multiple-hour flights. Many observers predict we'll have an affordable, mass-produced battery technology with just that - two times current capacity - by 2015. "Meanwhile, many R&D groups worldwide have already demonstrated up to 4X increases in energy density in exotic research projects. "There's another factor: The best internal combustion engine only converts 25 to 30% of the energy potential of gasoline, whereas brushless electric motors operate at 80% and even higher efficiencies. Even so, we need more, and dramatic, breakthroughs in battery capacity to close the gap." Energy Density Primer Perhaps it is helpful to understand the significant technical challenge electric flight still faces by comparing the energy densities of gasoline and batteries. Jim Lawrence (also see “Winning the Berblinger Prize and LEAP” sidebar) wrote, “Lead-acid batteries like those in boats and cars have been around for 150 years. They’re cheap and relatively environmentally friendly to fabricate and recycle, compared to lithium-based (Li-Ion-lithium-ion, and LiPo – lithium-polymer) batteries. Lead-acids store around 6% the energy density of gasoline. Running the numbers tells us it takes 167 pounds of batteries to hold the same energy as a single pound of gas. “Lithium batteries as typically used in cameras, cell phones and radio-control models store around four times as much energy as a lead-acid battery, but cost several times more per watt-hour. That still means an airplane needs to carry more than 40 pounds of batteries for the equivalent energy of a single pound of gas. Icon's Mission of Outreach ICON Aircraft calls itself "a consumer sport plane manufacturer." Kirk Hawkins, an accomplished engineer, former U.S. Air Force F-16 fighter pilot and avid power sports enthusiast, founded the company. After learning of the Federal Aviation Administration (FAA) major regulatory changes in '04 that created the light sport aircraft category and sport pilot license, Hawkins conceived his enterprise in '05 while attending Stanford University Business School. Since then, ICON Aircraft's sole purpose has been to bring the freedom, fun, and adventure of flying to all who have dreamed of flight, whether they are existing pilots or other recreation enthusiasts. ICON Aircraft believes that consumer- focused sport aircraft can do for sport flying what personal watercraft did for boating. "ICON aircraft are not only designed to deliver an amazing and safe flying experience, but also to inspire us the way great sports cars do," explains the company. A venture-backed, early stage company out of Silicon Valley, ICON Aircraft based its operations in Southern California, which is a hotbed for aerospace engineering, automotive design, and power sports activities. ICON's engineering and development team came from Burt Rutan's famed Scaled Composites, which created such record-setting projects as Voyager, Global Flyer, the X-Prize-winning SpaceShipOne, and Virgin Galactic's SpaceShipTwo. After years of engineering development in collaboration with world-class industrial designers, ICON Aircraft debuted the first of its line of sport planes, the Icon A5, in June '08. The Icon A5 is a bold, elegant design that communicates beauty, performance, safety, and most importantly, fun. Icon’s Mission of Outreach ICON Aircraft calls itself “a consumer sport plane manufacturer.” Kirk Hawkins, an accomplished engineer, former U.S. Air Force F-16 fighter pilot and avid power sports enthusiast, founded the company. After learning of the Federal Aviation Administration (FAA) major regulatory changes in ’04 that created the light sport aircraft category and sport pilot license, Hawkins conceived his enterprise in ’05 while attending Stanford University Business School. Since then, ICON Aircraft’s sole purpose has been to bring the freedom, fun, and adventure of flying to all who have dreamed of flight, whether they are existing pilots or other recreation enthusiasts. ICON Aircraft believes that consumer- focused sport aircraft can do for sport flying what personal watercraft did for boating. “ICON aircraft are not only designed to deliver an amazing and safe flying experience, but also to inspire us the way great sports cars do,” explains the company. A venture-backed, early stage company out of Silicon Valley, ICON Aircraft based its operations in Southern California, which is a hotbed for aerospace engineering, automotive design, and power sports activities. Most folks have probably never heard of ASTM International document F2295, Continued Operational Safety Monitoring of a Light-Sport Aircraft. But Tom Peghiny, president of Flight Designs USA, is intimately familiar with it. As the former chairman of the ASTM Airplane Committee, Tom was a driving force behind requiring SLSA manufacturers to face up to service after the sale and airworthiness monitoring. According to Tom, "The SLSA industry will not survive unless we take our after-sale commitments seriously. SLSA Service After the Sale Flight Design USA has a dedicated safety and compliance manager plus a number of procedures in place to make sure customers get the service they need." Flight Design USA initiates its after-sale quality control by starting in the beginning. Any individual involved in the assembly of CT airplanes imported into the United States must undergo assembly compliance training through Lockwood Aviation's Aero Technical Institute. Thus customers are assured that their CTSW or CTLS meets all original manufacturer quality standards. Each CT is delivered with detailed aircraft operating instructions (AOI) similar to a pilot's operating handbook, a flight training supplement, a maintenance and inspection procedures manual, a Rotax operator's manual, and a Rotax introduction DVD. The maintenance and inspection manual (which meets another ASTM standard, F2483) tells owners how to fix things and what skill level (FAA maintenance rating) is needed. But, as Tom puts it, "The maintenance and inspection manual is only one layer of a many-layered onion. We also need to support major repairs that are not specifically detailed in the maintenance manual, the installation of non-factory-installed avionics, and installation of after-market equipment. Given the need, we will ask engineering staff from the factory in Germany to visit the United States for one-on-one consulting." Flight Design USA has set up a series of documents to cover these needs. Each new owner also receives a "Read this first!" 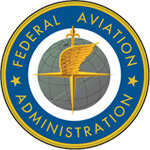 letter that details how the owner or operator fits into the continuing airworthiness process. 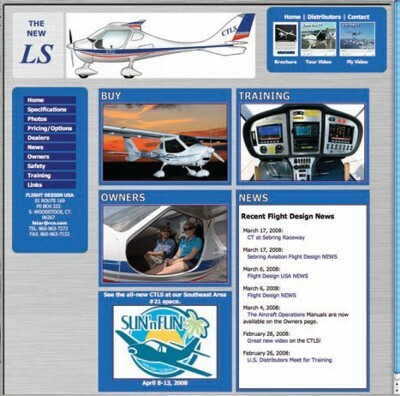 A dedicated website resource at www.FlightDesignUSA.com enables owners to keep current on maintenance and safety of flight issues. Flight Design USA recently passed a thorough quality audit of its entire assembly, distribution, and support structure by the Light Aircraft Manufacturers Association (LAMA). Tom comments, "We fully support the work being done by LAMA and consider it our duty to help other manufacturers, especially LAMA members. Our industry needs to earn a reputation of delivering great airplanes that have the support to last a very long time." Not a bad goal. Most folks have probably never heard of ASTM International document F2295, Continued Operational Safety Monitoring of a Light-Sport Aircraft. But Tom Peghiny, president of Flight Designs USA, is intimately familiar with it. As the former chairman of the ASTM Airplane Committee, Tom was a driving force behind requiring SLSA manufacturers to face up to service after the sale and airworthiness monitoring. According to Tom, “The SLSA industry will not survive unless we take our after-sale commitments seriously. SLSA Service After the Sale Flight Design USA has a dedicated safety and compliance manager plus a number of procedures in place to make sure customers get the service they need.” Flight Design USA initiates its after-sale quality control by starting in the beginning. Any individual involved in the assembly of CT airplanes imported into the United States must undergo assembly compliance training through Lockwood Aviation’s Aero Technical Institute. Thus customers are assured that their CTSW or CTLS meets all original manufacturer quality standards. About the AuthorDAN JOHNSON is currently membership secretary of ASTM Committee F37. He also serves as chairman of the board of the Light Aircraft Manufacturers Association and is a flight review writer of more than 800 articles. 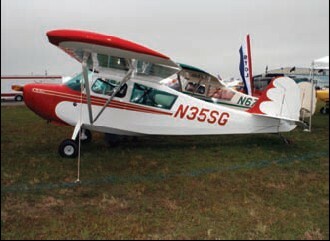 The Technical Work of F37 Light sport aircraft industry stakeholders engaged in the ASTM standards initiative include manufacturers of airplanes (conventional fixed wing aircraft), powered parachutes, weight shift controlled aircraft, gliders, gyroplanes, and lighter-than-air. In addition, F37 volunteers come from the flight instructor community, recreational pilots, parts manufacturers, and the regulatory community. Committee F37's work embraces: Minimum safety, performance and flight proficiency requirements. Quality assurance to install manufacturing controls confirming that aircraft meet design criteria. Completed aircraft production acceptance tests and procedures assuring that completed aircraft meet reported performance as demonstrated in the prototype aircraft, including design limits such as empty weight; center of gravity; performance specifications; controllability and maneuverability; longitudinal, lateral, and yaw stability; stall speeds; handling characteristics; engine cooling and operating characteristics; propeller limits; systems function; and folding or removable lifting surfaces. A plan for continued airworthiness, including methods for monitoring and maintaining continued operational safety, and processes for identifying, reporting and remedying safety-of-flight issues. 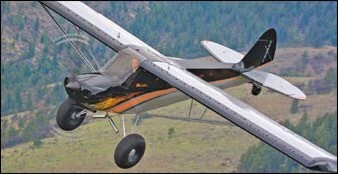 The Technical Work of F37 Light sport aircraft industry stakeholders engaged in the ASTM standards initiative include manufacturers of airplanes (conventional fixed wing aircraft), powered parachutes, weight shift controlled aircraft, gliders, gyroplanes, and lighter-than-air. In addition, F37 volunteers come from the flight instructor community, recreational pilots, parts manufacturers, and the regulatory community. Committee F37’s work embraces: Minimum safety, performance and flight proficiency requirements. Quality assurance to install manufacturing controls confirming that aircraft meet design criteria. Completed aircraft production acceptance tests and procedures assuring that completed aircraft meet reported performance as demonstrated in the prototype aircraft, including design limits such as empty weight; center of gravity; performance specifications; controllability and maneuverability; longitudinal, lateral, and yaw stability; stall speeds; handling characteristics; engine cooling and operating characteristics; propeller limits; systems function; and folding or removable lifting surfaces. A plan for continued airworthiness, including methods for monitoring and maintaining continued operational safety, and processes for identifying, reporting and remedying safety-of-flight issues. 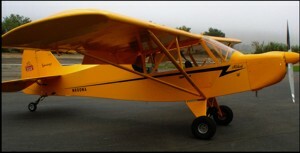 Many aircraft manufactured in European and Eastern European countries are poised to enter the United States light-sport aircraft market as special light-sport aircraft (S-LSA) because the European microlight standards have, for years, allowed the manufacture of ready-to-fly aircraft that closely match the definition of an LSA. Like all LSA manufactured in the United States, these aircraft must meet the consensus standards established for LSA. In addition, the aviation authority in the aircraft's country of origin must have a bilateral agreement with FAA, and the aircraft must be eligible for certification in that country. The manufacturer must also test fly the aircraft prior to shipping it to the U.S. Lastly, before the aircraft is offered for sale in the U.S., the dealer/distributor should already have certificated the aircraft as an S-LSA. (This applies to domestic aircraft as well.) As with all aircraft purchases, wise buyers will adopt a "buyer beware" attitude to make sure that the dealer/distributor will be able to provide after-the-sale services, including timely parts replacement. Many aircraft manufactured in European and Eastern European countries are poised to enter the United States light-sport aircraft market as special light-sport aircraft (S-LSA) because the European microlight standards have, for years, allowed the manufacture of ready-to-fly aircraft that closely match the definition of an LSA. Like all LSA manufactured in the United States, these aircraft must meet the consensus standards established for LSA. In addition, the aviation authority in the aircraft’s country of origin must have a bilateral agreement with FAA, and the aircraft must be eligible for certification in that country. The manufacturer must also test fly the aircraft prior to shipping it to the U.S. Lastly, before the aircraft is offered for sale in the U.S., the dealer/distributor should already have certificated the aircraft as an S-LSA. (This applies to domestic aircraft as well.) As with all aircraft purchases, wise buyers will adopt a “buyer beware” attitude to make sure that the dealer/distributor will be able to provide after-the-sale services, including timely parts replacement.